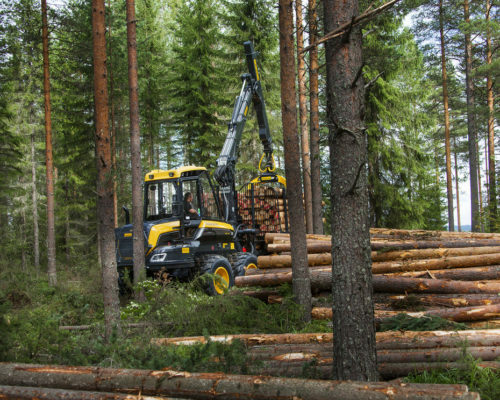 PONSSE Elk is convincingly the most productive forwarder in its size category. Engine power and torque have been raised to a whole new level, and tractive force has been increased. The new frame structure is even stronger and more maintenance-friendly than before. For example, the upgraded Elk makes daily refuelling and checks very easy. The cabin has also been completely upgraded. What is familiar from the previous model is the capacity and ergonomic controls, while the upgraded model offers plenty of storage space, functional spatial solutions and even more high-quality materials. 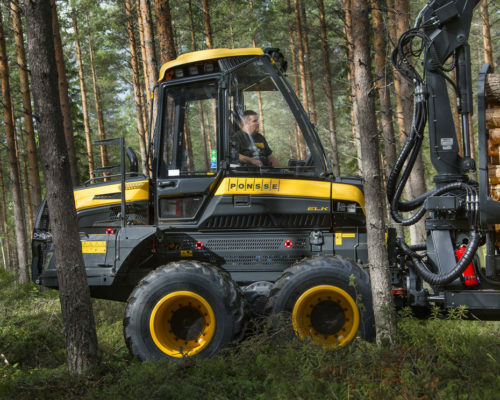 PONSSE Elk’s strengths include extreme structural rigidity and maximal power. 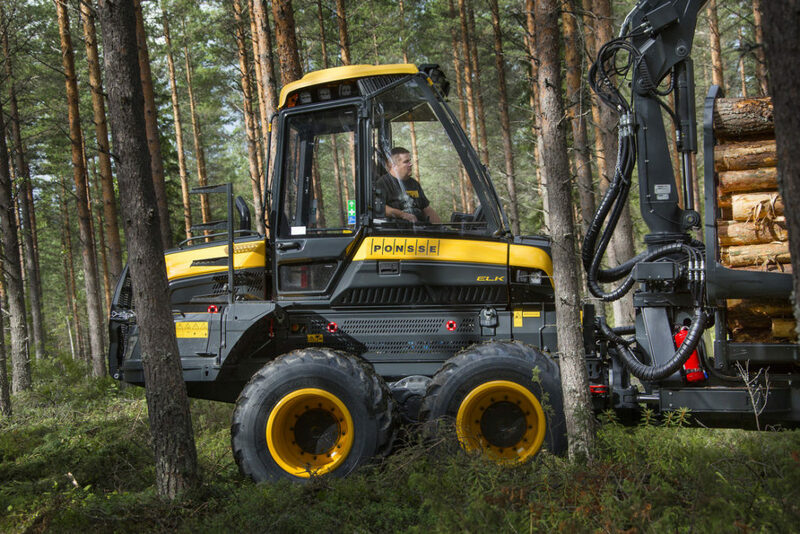 When efficient hydraulics are added to the package, the Elk is your reliable partner in all terrain conditions. 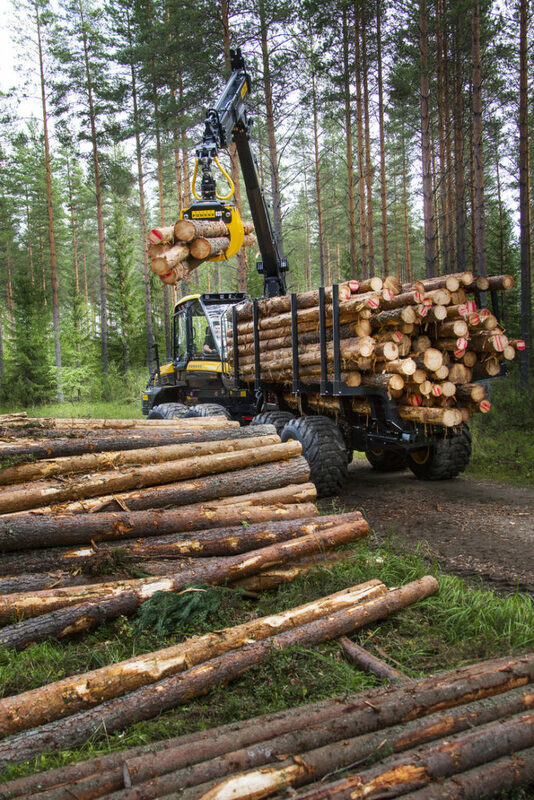 Crane options are efficient and extremely durable PONSSE K70+ and massively strong PONSSE K90+. 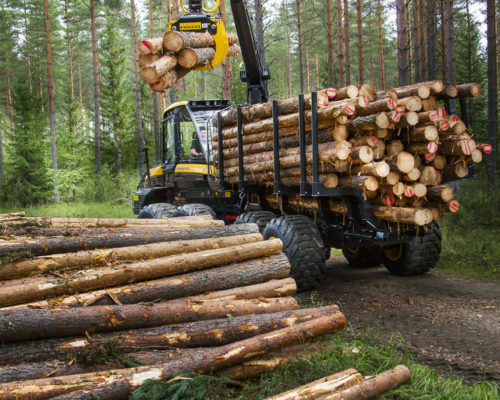 The K90+ especially brings valuable extra power for loading and unloading, and the handling of large trees. You can only get all of this from Ponsse. 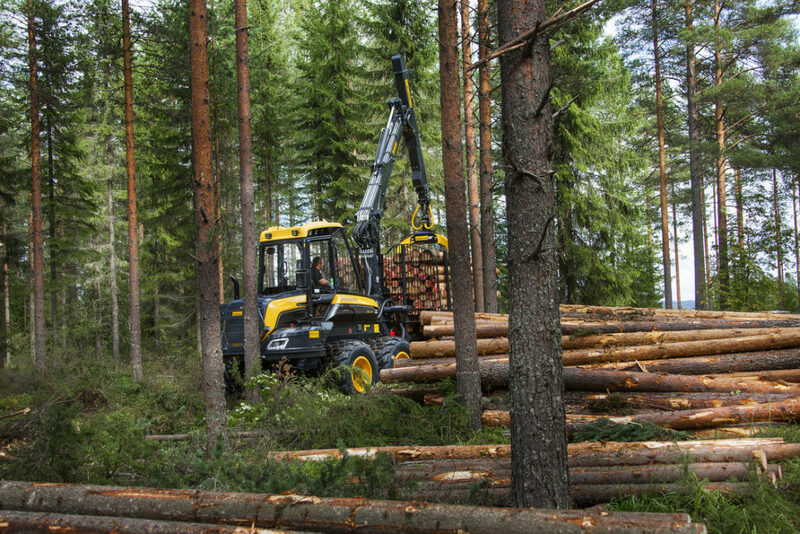 Plenty of optional equipment is available in addition to the comprehensive PONSSE Elk standard equipment. Consult your nearest Ponsse Service Center or dealer for more information on the standard and optional equipment.